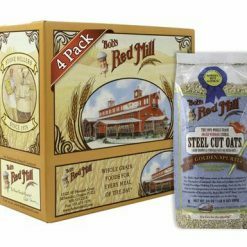 Bob’s Red Mill Steel Cut Oats are one of our dearest prides of the mill! 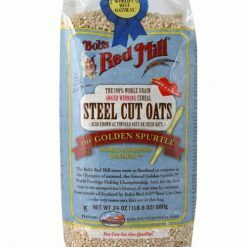 You may know Steel Cut Oats as Irish or Pinhead Oats. We took these oats to Carrbridge, Scotland to compete in the annual Golden Spurtle World Porridge Championship and came home with a blue ribbon! 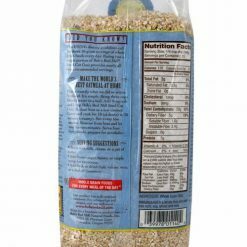 You can make your own version of the World’s Best Oatmeal(R) with these whole grain, neatly cut and lightly toasted oats. 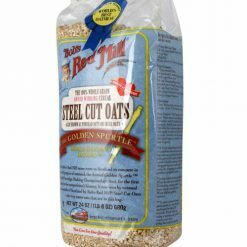 Steel Cut Oats’ place in the kitchen doesn’t stop at breakfast – try using it for risotto, pilaf, arancini, or dumplings too.